There is no doubt that Mariacka is one of the most picturesque streets of the Main Town; it is a centre of the amber craft and jewellery trade. The street begins with the Mariacka Gate and leads to the St. Mary's Church (Basilica of the Assumption of the Blessed Virgin Mary). Also called the Crown of Gdańsk, the Basilica is the largest Gothic brick shrine of Europe. Its interior contains many priceless works of medieval and Baroque art (a Stone Pieta from the early 15th century or an astronomic clock from 1464-1470). 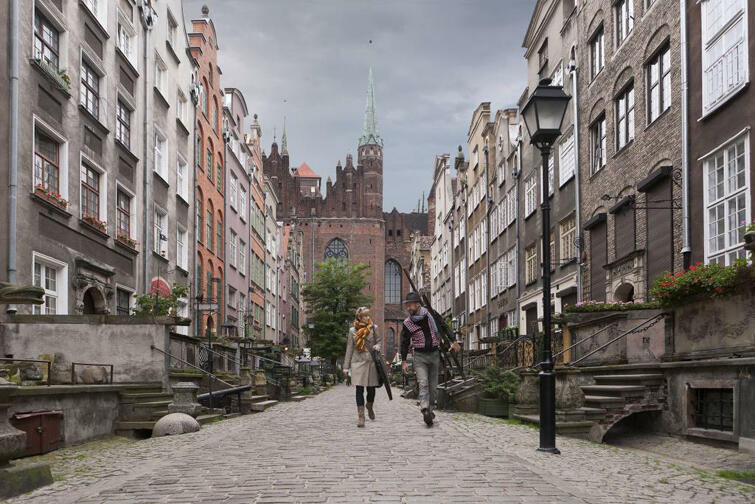 The Mariacka Street is an example of the historical development of Gdańsk, with its characteristic perrons with famous gargoyles and facades of ornate houses formerly belonging to merchants and goldsmiths.